Nah, Jake is the real threat here. Even on a map that is 99% roads, Koal is still only barely average. No I'd really be concerned about Max with his movement bonuses and buffed tanks and copters. This would be hell to play in fog lol. power. Instead, look at this map, how often does that happen? About 15-20% of the tiles? 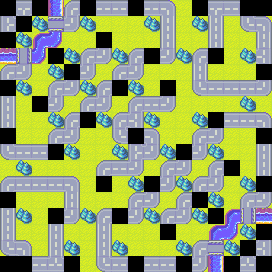 roads, with little change in formation. worthy trying and better than many other maps. than a simple fog war. CO tiers on this map is different. I don't think that's something should be blamed. experience. So I rate it 7.